Depart Leeds Station by its south exit. Shimmy around the lock, perhaps calling in at the Midnight Bell or Cross Keys for a swift one, before heading to Matt Healy X The Foundry (the ‘X’, we’ll assume, stands for ‘at’) where you’ll order the chicken kiev. Devour said dish in smug silence and then communicate your thanks in my direction. It’s a belter. Masterchef fans may know the name. In 2016 Healy was a finalist in the Pro spin-off. The red-bricked Foundry, off Water Lane, is his first solo venture. I’m slightly uneasy about the Masterchef thing. Eating out doesn’t get tougher than a plateful of style over substance and the cynic within wonders if this will be one of those well-mannered quasi-meals favouring technique over appetite. Or, more worryingly, if Gregg Wallace will rock up at the next table. Neither, thankfully, is the case. Healy’s devised a menu at the Foundry (sorry, X the Foundry) that does the creative and ingredient-led thing without forgetting about the peckish folk sitting beyond the kitchen hoping they get some tasty scran for tea. 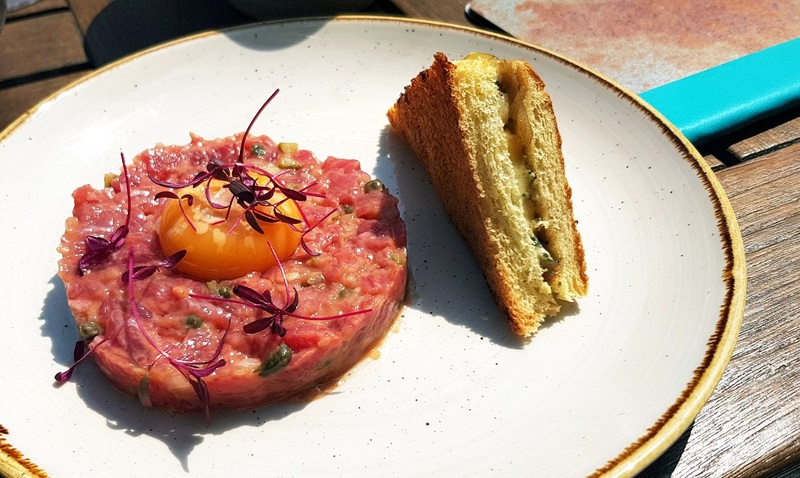 So with a deeply bovine tartare, served at the right temperature and spiked with punchy capers and cornichons, comes a cheese and onion toastie with its homely crunch and ooze. It’s a smart touch, particularly when dredged through the sunshiny egg yolk, and the whole lot speaks of a kitchen that’s serious but not too serious. I doubt that a dish exists that wouldn’t be improved with a wedge of cheese on toast. 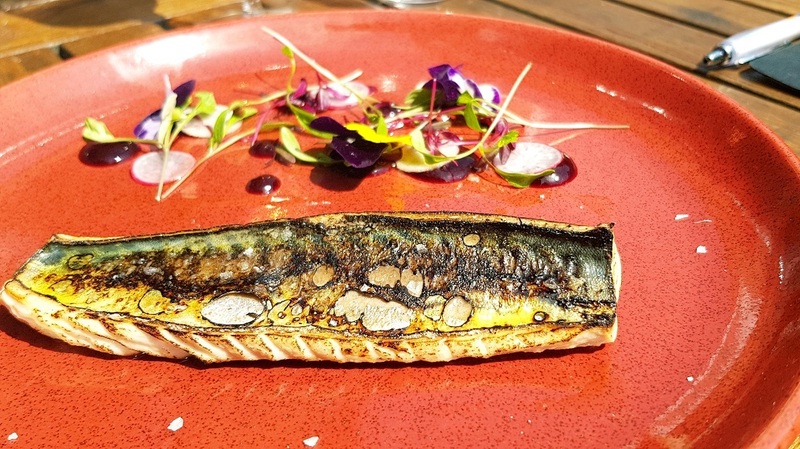 The blistered and blackened skin coating any lump of protein immediately becomes The Best Bit, of course, but beneath the crispy exterior this mackerel’s just-cooked flesh isn’t half bad either. It’s helped along by some generous seasoning – keep that up, chefs – and gutsy blobs of sweet beetroot puree that bring more to the dish than mere cheffy frippery. More signs of a kitchen whose intent is to feed – and feed well – come with three buff lumps of venison fillet cooked brazenly pink and doused in a thick sheen of well-reduced sauce. What you need with that is a pie, naturally, and Healy duly obliges, doing good things with the beast’s shoulder and encasing the resulting braise in some top-notch pastry. “Get at it”, says the tidy presentation. But that chicken. 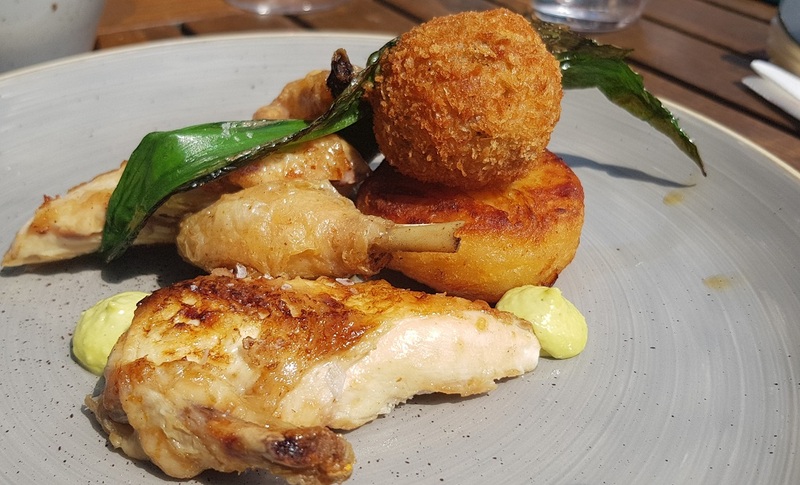 Joints of good bird, expertly cooked to the point where crozzled skin meets juicy flesh, demand that you ditch the cutlery and deploy the fingers, the better to gnaw the bones clean. The ‘kiev’ arrives as a bread-crumbed orb the shade of a well-varnished fence. I skewer the crunchy wall, releasing its potent pool of garlic butter, and spend the rest of the meal dredging whatever I can find through it. If all that wasn’t gratifying enough a thoughtful soul has seen fit to stick a fondant potato on. Cooked in duck fat. And why not? 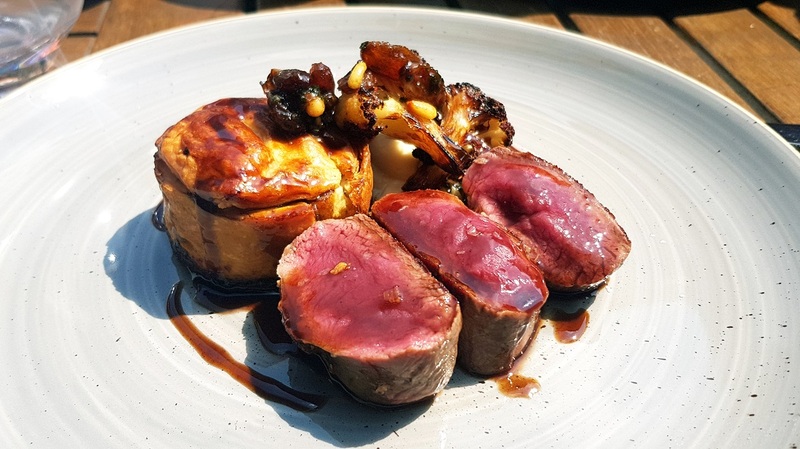 I’m sure Healy has plenty of Mastercheffy tricks up his sleeve but ultimately, at the Foundry, he’s doing a stellar job of cooking food you actually want to eat. Décor? No idea. It’s blazing hot on our visit so we sit on the terrace in an ill-conceived effort to appear urbane, which means I’d best go back for another look. And more chicken. Matt Healy X The Foundry website here. More of this guff on Twitter here.